What’s the southwest without a few bleached cattle skulls to remind you of the death and starvation that characterized the settlement of the old west? This place in Santa Fe had a good selection for those who want to have something creepy to hang on the wall of the great room of their ranch. And here’s something interesting –the price varies based on horn size. This impressive fellow was cheaper than his neighbor because his horn size was sadly lacking. 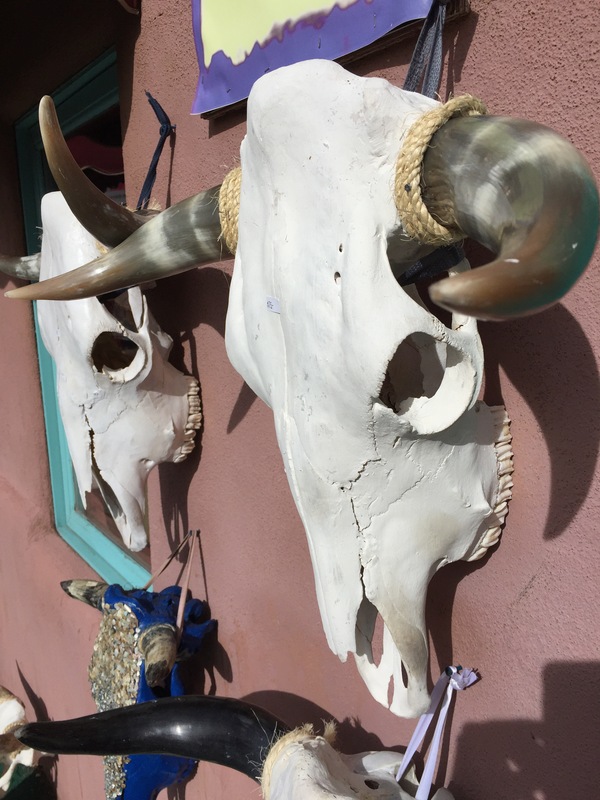 This entry was posted in Photography, Travel and tagged cattle skulls, old west, Photography, Travel by webnerbob. Bookmark the permalink.